You are here: Home / Books & Print / Save the Country! In our hearts, we know what’s wrong, and we know that it’s not about Democrats or Republicans. It’s about the money that flows into political campaigns, the revolving door between industry and agencies that should be regulating without industry influence, the political bashing that obscures the real issues, the real reasons why our food is unsafe, our cellphones were never properly tested to assure that they do not produce cancer, why our financial system collapsed, why the jobs went away and people lost their houses while the big banks and the big car companies somehow made out okay. Sometimes, it takes a smart professor to parse the issues, and present them in a way that makes logical sense. 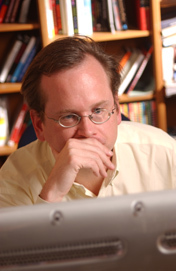 Here, the professor is Lawrence Lessig, well-known for his work in the synchronization of copyright issues with the realities of new technologies. Lessig has shifted focus. In his new book, Republic, Lost, Lessig explains how and why we have accomplished the decimation of our democracy, and what we ought to do about it. This is not a book about politics. Instead, it’s a book about economics, foolish decisions, and fundamental thinking about what a country ought to do, ought to be. The fundamental problem is relatively simple. Special interest groups, including big companies, big industries, unions, and others with vast money to spend, now control the agenda, and the decisions, made by our legislators. This is accomplished by funding political campaigns that now cost so much money, candidates are unable to raise the funds in any other way. Money is distributed not as bribes, but within a “gift economy,” in which lobbyists control the flow of funds, favors, and even the words in legislation that few legislators ever manage to read before voting. The size of this gift economy is spectacular in its size and influence, resulting in a sustained distraction for even the best-intentioned legislators whose time and decision-making processes are, according to Lessig, dominated by this system. Where Lessig is clear about what the problem is, why and how it has gobbled up our representative form of government, and how much money is involved, he is less wonderful when it comes to solutions (which is to say, Lessig is clear thinking and often quite brilliant in his assessment of the current situation, but even his big brain struggles with what the heck we should do now). Still, he does present several seemingly sensible ideas. Why not, he asks, run one candidate in several districts with a flash of anarchy in his or her midst. The only reason he or she is running is to force the other candidate to “publicly commit” to the Grant and Franklin approach. And for those candidates who do manage to get elected (inevitably, some will), he or she commits to: holding the government hostage until Congress enacts a program to remove the fundamental corruption that is now the rule in our government, and once that program is enacted, he or she will resign from office. Lessig goes further: he wants a constitutional amendment. Here, he enters a deeply analytical, harshly critical approach to his own idea, using his legal powers to define a path that could make an amendment possible. And, he reckons, some rich and powerful people are likely to come along for the ride. He’s better on describing the cause and current situation than he is on prescribing the proper solution, but it’s unreasonable to expect one person, however smart, well-educated and clever, to define a plan to rebuild the republic. But he has taken the first step: he has clearly detailed the current situation and analyzed it in ways that break through any specific political dogma or belief system or party affiliation. And I know that his thinking has affected my thinking, and, presumably, some tens of thousands of other people’s thinking, and that’s a start. Each book will have a digital strategy. Each book will be worthy of the attention of discerning book reviewers. 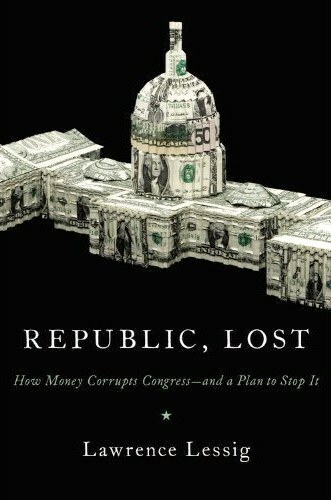 I think this is an especially important book… so I’ve reposted the blog entry about Lawrence Lessig’s Republic, Lost. Lessig is always good. Isn’t he touring with Buddy Romer as an independent presidential candidate now? Political isn’t always politics. IF more people were aware of the specific connections between the government and big money and shown exactly what can be done to stop it, perhaps change would occur. It is all made so complex, intentionally, that average citizens feel helpless and hopeless. Showing a clear solution, or at least a clear explanation is the job of media – who have gotten swept up in the economics as well. This is where adjustments need to be made, understanding is key to change.